Sometimes the river is so calm that it’s mirror-like. That’s when I love to take photos of the beautiful birds that call this place ‘home’. 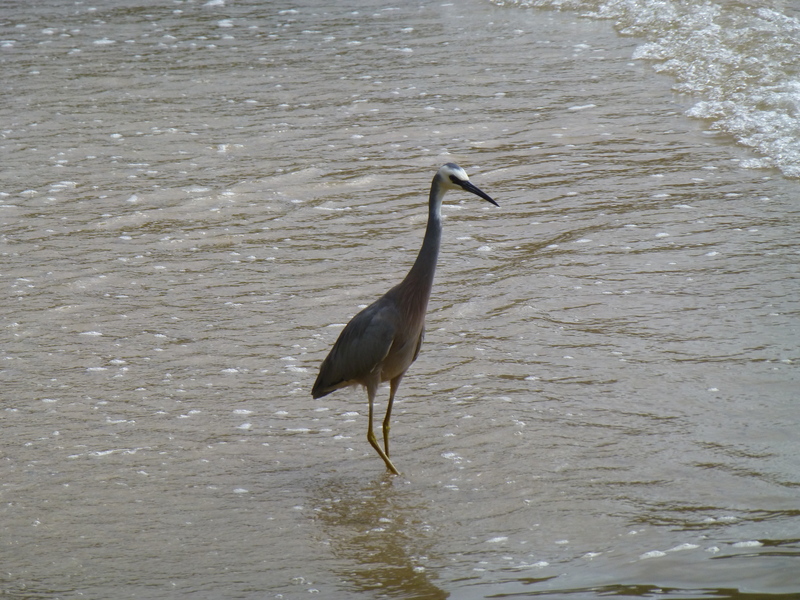 My offering for today is a White-faced Heron: a tall, elegant creature that struts it stuff at low tide. 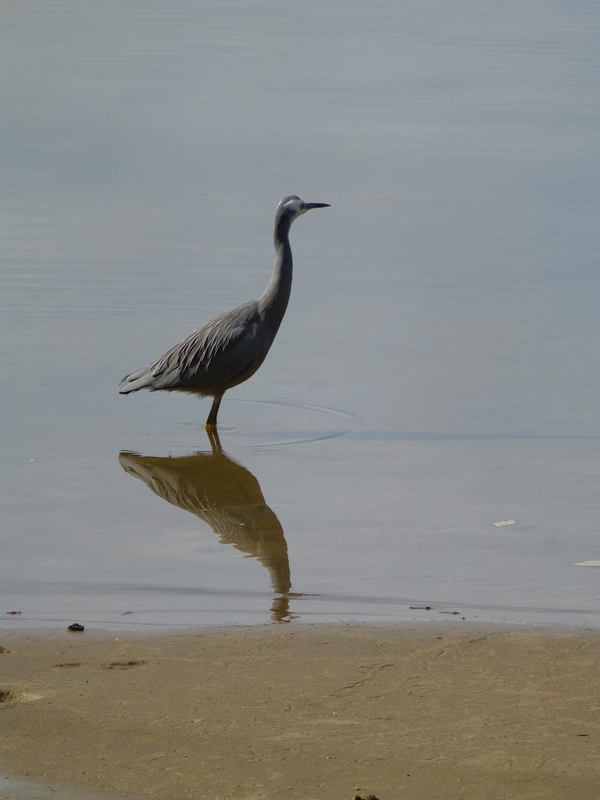 I can just image this White-faced Heron thinking well of himself. His proud, erect posture and bold gaze seem to tell a story. 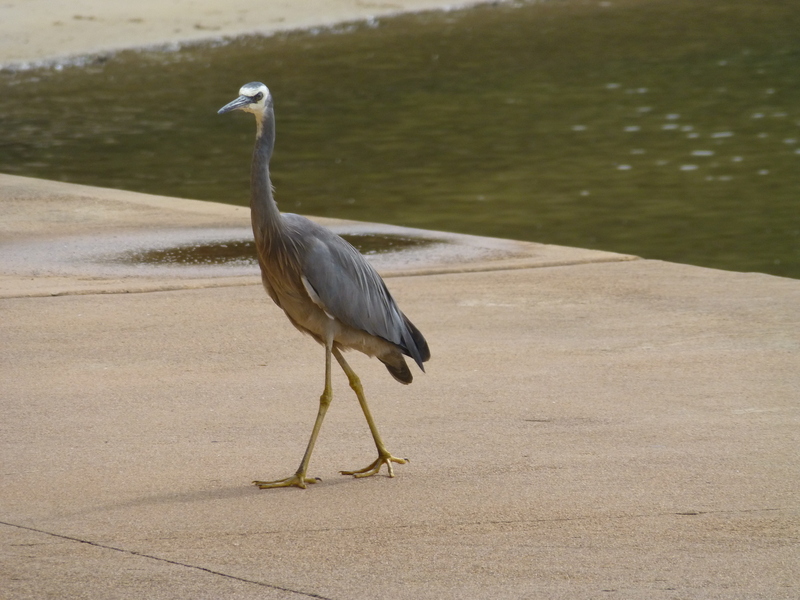 These stately birds spend much of their time searching for breakfast in the shallows of the local swimming baths. Now and again they venture onto the promenade, but unlike the ducks, do not seem to eat scraps of bread. They say that familiarity breeds contempt, but I tend to disagree. 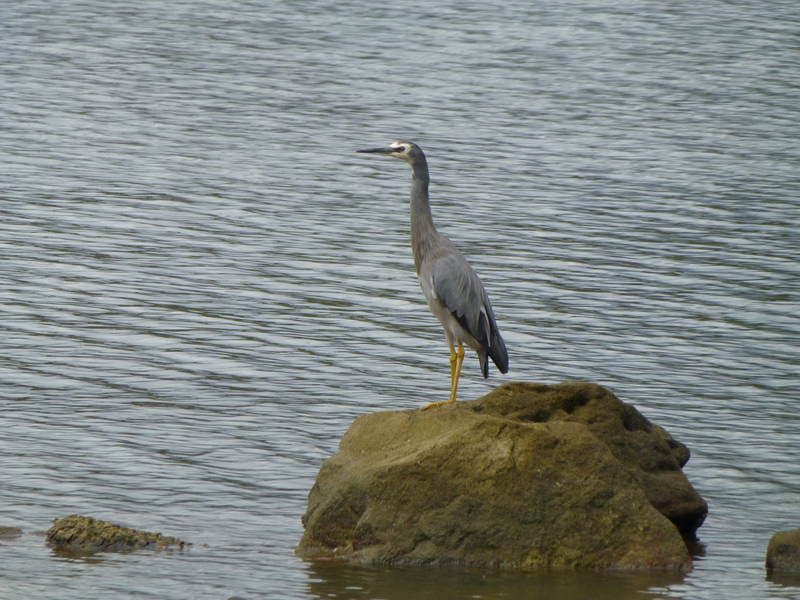 Lately I’ve become very familiar with the sight of these lovely, elegant birds known as White-faced Herons. Their charm is undiminished. I cannot fight my impulse to grab the camera and take as many photographs as I wish. 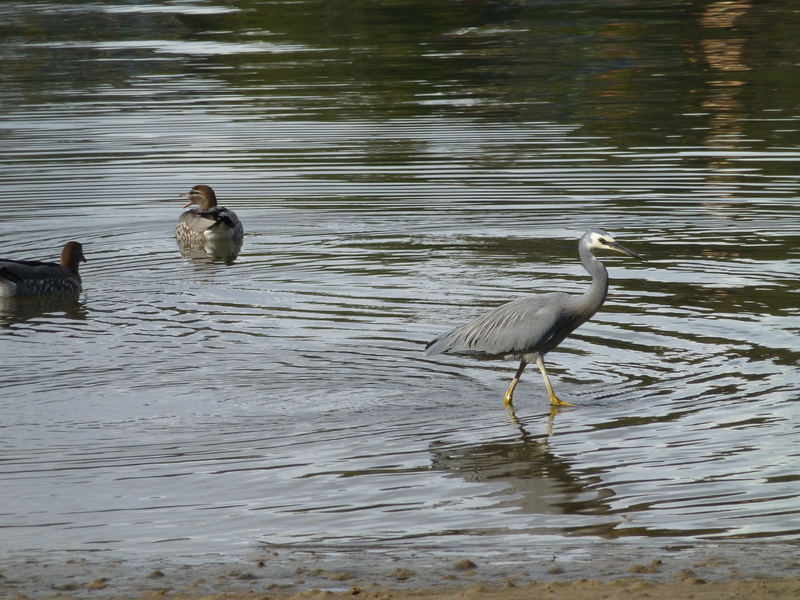 Believe it or not, these birds can be most obliging, often posing in just the right spot for an interesting shot. 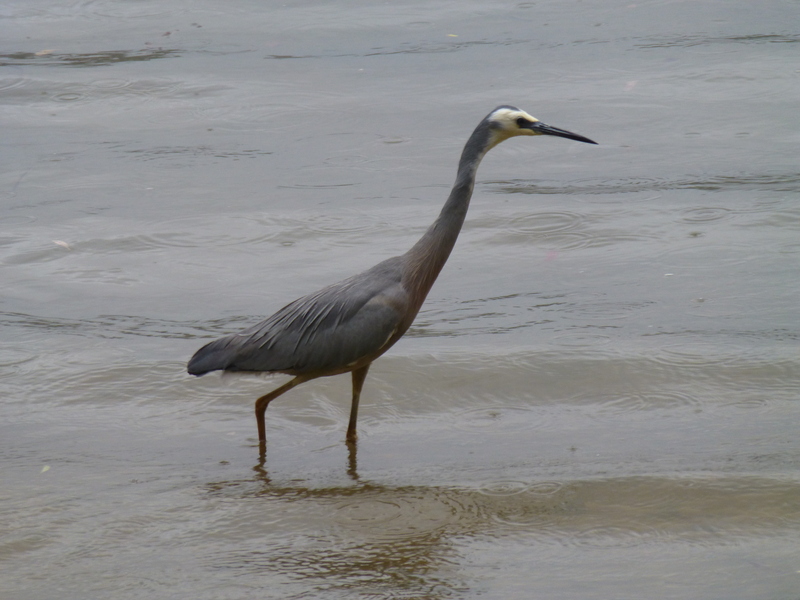 This White-faced Heron surely looks intent on preserving his dignity. What about the ducks? Are they oblivious to his presence? Yet another scene from the Georges River in Sydney, Australia.